Intelligent men are cruel. Stupid men are monstrously cruel. Love is the sum of all the arts, as it is the reason for their existence. 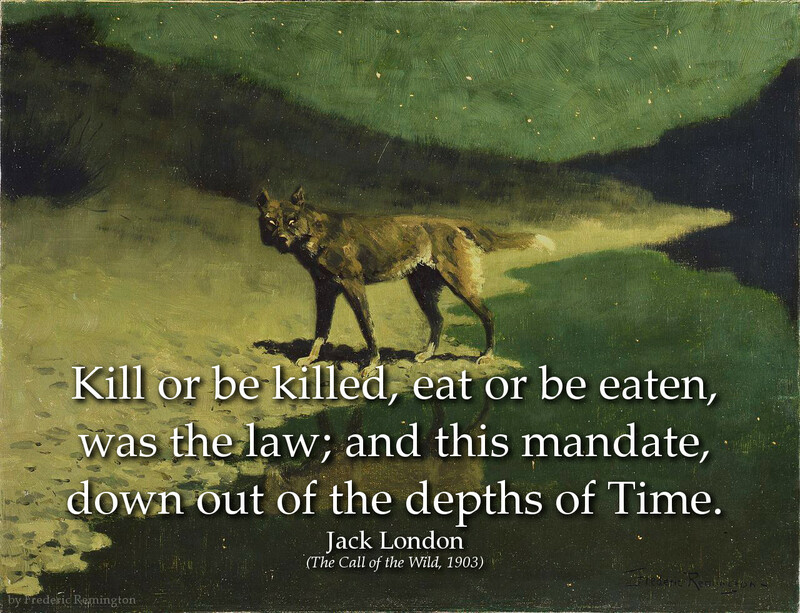 Kill or be killed, eat or be eaten, was the law; and this mandate, down out of the depths of Time. He had no conscious knowledge of death, but like every animal of the Wild, he possessed the instinct of death. To him it stood as the greatest of hurts. It was the very essence of the unknown; it was the sum of the terrors of the unknown, the one culminating and unthinkable catastrophe that could happen to him, about which he knew nothing and about which he feared everything. A million years ago, the cave man, without tools, with small brain, and with nothing but the strength of his body, managed to feed his wife and children, so that through him the race survived. You on the other hand, armed with all the modern means of production, multiplying the productive capacity of the cave man a million times -- you are incompetents and muddlers, you are unable to secure to millions even the paltry amount of bread that would sustain their physical life. You have mismanaged the world, and it shall be taken from you! Be delicate, little wife-woman. Never be without your veil, without many veils. Veil yourself in a thousand veils, all shimmering and glittering with costly textures and precious jewels. Never let the last veil be drawn. Against the morrow array yourself with more veils, ever more veils, veils without end. Yet the many veils must not seem many. Each veil must seem the only one between you and your hungry lover who will have nothing less than all of you. Each time he must seem to get all, to tear aside the last veil that hides you. He must think so. It must not be so. Then there will be no satiety, for on the morrow he will find another last veil that has escaped him. Why, if there is anything in supply and demand, life is the cheapest thing in the world. There is only so much water, so much earth, so much air; but the life that is demanding to be born is limitless. Nature is a spendthrift. Look at the fish and their millions of eggs. For that matter, look at you and me. In our loins are the possibilities of millions of lives. Could we but find time and opportunity and utilize the last bit and every bit of the unborn life that is in us, we could become the fathers of nations and populate continents. Life? Bah! It has no value. Of cheap things it is the cheapest. Everywhere it goes begging. Nature spills it out with a lavish hand. Where there is room for one life, she sows a thousand lives, and it's life eats life till the strongest and most piggish life is left. Dark spruce forest frowned on either side the frozen waterway. The trees had been stripped by a recent wind of their white covering of frost, and they seemed to lean toward each other, black and ominous, in the fading light. A vast silence reigned over the land. The land itself was a desolation, lifeless, without movement, so lone and cold that the spirit of it was not even that of sadness. There was a hint in it of laughter, but of laughter more terrible than any sadness-a laughter that was mirthless as the smile of the Sphinx, a laughter cold as the frost and partaking of the grimness of infallibility. It was the masterful and incommunicable wisdom of eternity laughing at the futility of life and the effort of life. It was the Wild, the savage, frozen-hearted Northland Wild. Nature has many tricks wherewith she convinces man of his finity--the ceaseless flow of the tides, the fury of the storm, the shock of the earthquake, the long roll of heaven's artillery--but the most tremendous, the most stupefying of all, is the passive phase of the White Silence. All movement ceases, the sky clears, the heavens are as brass; the slightest whisper seems sacrilege, and man becomes timid, affrighted at the sound of his own voice. Sole speck of life journeying across the ghostly wastes of a dead world, he trembles at his audacity, realizes that his is a maggot's life, nothing more. 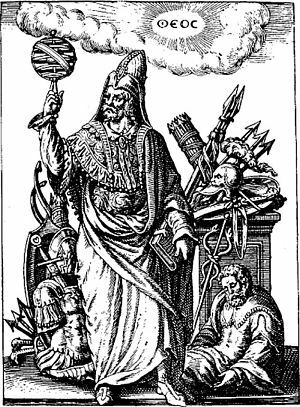 Strange thoughts arise unsummoned, and the mystery of all things strives for utterance. And the fear of death, of God, of the universe comes over him--the hope of the Resurrection and the Life, the yearning for immortality, the vain striving of the imprisoned essence--it is then, if ever, man walks alone with God. 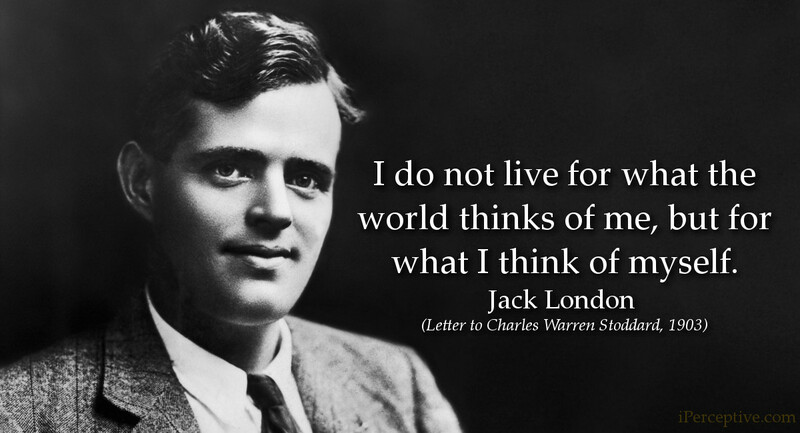 Jack London was an American novelist, journalist and social activist. 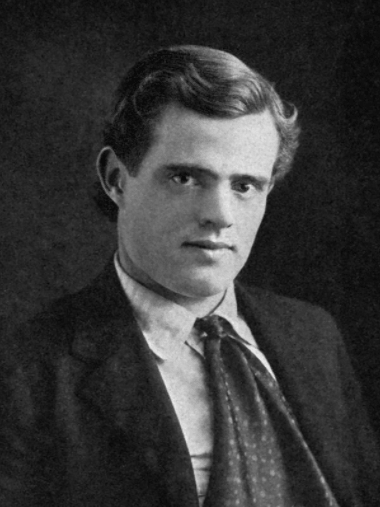 He is best known for his writing, especially his novels and short stories, the most notable one being White Fang and The Call of the Wild.